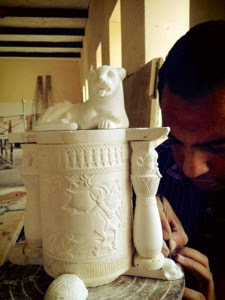 Mohamed Ibrahim, Minister of Antiquities said "Displaying replicas of the original treasures including the Golden mask, Golden sarcophagus and the chariot will help to encourage Italian tourists to visit Egypt to see the genuine treasures as well as shed more light on the most important Egyptian antiquities. 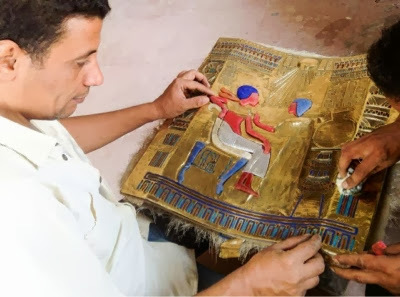 It also reflects the artistic skills and the ability of Egyptian artists to revive the heritage with all its details and precision." 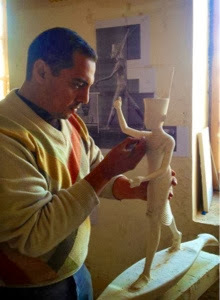 Amr El Tybe, director of the replicas production unit, said " There is a group of specialised artists and technicians use the same artistic production methods as it used to be and with the same materials the ancient Egyptian artists would have used."